Whether you have an extensive library of collectible books or a personal art gallery comprised of valuable works of art, the perfect temperature to store your delicate items is of significant importance. When storing delicate items, it is important to consider temperature and humidity levels in the space where they will be housed. Providing the perfect environment for any collection is important not only from an aesthetic standpoint but also from a financial one. Maintaining the perfect environment for your investment is crucial and our professionals at ADA Heating and Air can help you create and maintain that ideal atmosphere. There can be numerous problems if your system cannot achieve and/or maintain the correct temperature and humidity level. Extreme temperatures and humidity can cause damage to documents, books and art collections. The ideal temperature must be maintained because extreme temperatures can expand or shrink artwork. You will want to make sure that you have accurate humidity and temperature control systems in place because large amounts of humidity in the air can cause mold and mildew to grow that can destroy these sensitive items. If you have ever placed books into a box and put them in your attic, you have probably found out that the pages had faded and turned yellow because of the extreme heat they were exposed to during the summer months. Extreme humidity has the same effect on artwork as it does on books with the added side effect of mold and mildew growing on the items. Extra humidity can also damage metals, wood furnishings and sculptures. Some materials fade in heat and are also subject to mold and mildew growth. The best way to safeguard your collectibles and delicate items is by installing temperature and humidity controls that make sure that climate control factors are kept ideal. 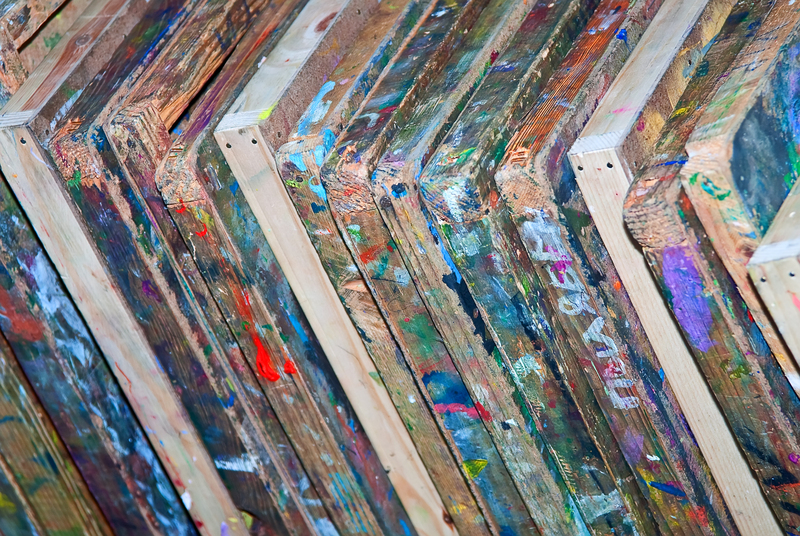 Most experts say that the ideal temperature for art storage is between 65 degrees and 75 degrees Fahrenheit. This temperature is also considered ideal for other items such as furniture, papers, metals and fabrics. Most professionals and preservationists say that the ideal mark for setting humidity is 50% for paintings. This setting is also recommended for other art mediums. It is important to realize that if your humidity level is on the higher side there is a greater risk for mold and mildew to grow. If the humidity level is on the lower side there is the chance for your items to become dried out. Overall it is always best to keep your temperature and humidity levels constant, because if you have them going up and down in an inconsistent manner you are likely to cause more harm to your delicate items because the materials will contract and expand putting stress on them. Pollutants can also cause damage to artwork and documents that are trying to be preserved. The easy solution would be to reduce the amount of pollutants that are in the air. Keeping your air filters clean by changing them routinely will help in reducing pollutants in the air and keeping your items safe. A few things to keep in mind for maintaining temperature and humidity may include upgrading your HVAC system. If you have an older system you may want to have it reevaluated and updated. At ADA Heating and Air, we can help design an HVAC system that is just right for storing delicate items. We proudly service all of Central Kentucky, Danville, Harrodsburg, Winchester, Nicholasville, Versailles, Lancaster, Stanford, Lexington and the surrounding areas.